Some home remedies for sunburn relief include applying cooling compresses that contain vinegar, aloe vera, tea-tree oil or witch hazel. You should always accustom yourself to the sun's rays gradually. If you must be in the sun, limit your initial exposure time to about 10 minutes. You can add five minutes each subsequent day. But use common sense and never expose yourself to the sun's harmful rays for any extended period of time. For severe burns with large blisters, see a doctor immediately! Almost everyone has suffered the effects of overexposure to the sun. the outcome, a sometimes painful sunburn, is a reminder that our skin should be treated with care. It's the excessive exposure to ultraviolet (UV) radiation from the sun that causes sunburn. 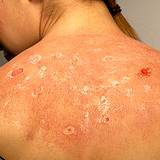 A distinction is made among the three types of burn: A first-degree sunburn is marked with extremely red, swollen skin; a second-degree sunburn results in blisters on the epidermis; and a third-degree sunburn causes skin damage so severe that blister scars will remain even after the burn is healed. In addition to the burn itself, nausea and circulatory problems may also occur, particularly when the head and neck have been exposed to strong radiation; this is the condition known as sunstroke. Regular and prolonged sunbathing and frequent sunburns will hasten the premature aging of the skin and increase the risk of skin cancer. Even visits to tanning booths, which use a type of ultraviolet radiation, are suspect. If you do spend time n the sun, you can avoid sunburn and skin damage by wearing sunscreen, a hot and protective sunglasses. The face and shoulders are at particular risk for sunburn. Invisible ultraviolet (UV) rays given off by the sun are responsible for the damage to the skin due to overexposure. There are 3 types of UV radiation: UFA, UVB and UVC. UVA rays penetrate all the way to the inner layer of skin, or dermis, and can cause a sun allergy and premature aging of the skin. UVB radiation tans the skin but also causes irreparable damage and increases the risk of skin cancer. 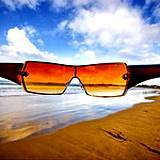 UVC rays are the most dangerous, as they are the most closely linked with skin cancer. 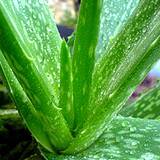 The fleshy leaves of the aloe-vera plant contain a healing, cooling juice that also helps keep the skin moisturized. The juice is most effective when it is absolutely fresh, taken directly from the plant. Cut off a leaf from a plant, peel it open, and apply its milky substance to the sunburn. You can reapply every hour. You should keep an aloe-vera plant in your home at all times in case of burns. Another effective remedy for sunburn relief is tea-tree oil. Apply the oil to the affected areas with a cotton ball, making sure to avoid your eyes. Also try compresses containing cold water to which tea-tree oil had been added. 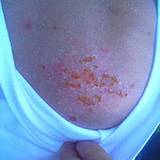 The typical symptoms of sunburn, such as itching, reddening and pain, can be relieved with a compress of distilled vinegar. To make, saturate a cloth in undiluted, distilled vinegar and apply to the reddened parts of the skin. Cider vinegar can also be used for a cooling compress. It disinfects and soothes the skin, reduces pain and promotes the natural healing process. Cider vinegar also helps prevent swelling of the burned area and the formation of blisters. 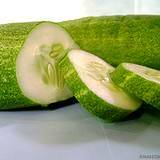 Apply cucumber slices to sunburned skin. Their cooling properties will relieve inflammation, and the pain will abate. Sunburn relief couldn't be easier and more refreshing. Apply sunscreen liberally 30 minutes before exposure. 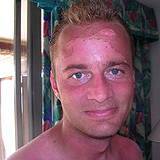 Always wear sunglasses and keep your had covered while sunbathing. Don't spend too much time lying in the sun; take a walk instead. Apply sunscreen on cloudy days, too The UV rays also penetrate cloudy skies. People at risk for skin allergies should use sunscreens without additives, such as emulsifiers or preservatives. Radiation from sun is more intense in the mountains and the closer you are to the equator. In addition, snow and water also amplify UV radiation effects. Therefore, choose a sunscreen with a higher sun protection factor (SPF) in these locations or conditions. The SPF of sunscreens indicates the time factor by which safe sunbathing is increased. For example, people with pale skin should sunbathe for no more than 10 minutes. With an SPF of 6, they can prolong sunbathing to 6 times 10 minutes. Even with an SPF sunscreen, if you insist on working on a tan, do so gradually by increasing exposure slowly. While it is quite true that tanned skin is a better protection against sunburn than untanned or pale skin, a tan, the body's attempt at defending itself, will not protect you against ultraviolet radiation, which is cumulative. A tanned, unburned skin is no guarantee that damage has not already occurred. Even with a tan, you should continue to use sunscreen.